The SBA has formed the SBA International Street Basketball Federation, a newly created sanctioning body consisting of 30 initial member organizations representing 27 countries on 6 continents. This Federation works directly with the SBA office to spearhead the marketing of a number of SBA basketball related sports properties consisting of events, exhibitions, international competitions, shows, and tours as well as a number of global basketball development initiatives, providing expert instruction continuing to further promote the authenticity surrounding the best professional basketball players in the world. The SBA has initiated the SBA International Basketball Federation creating a global basketball infrastructure, working at the grass roots level helping further promoting the s port of basketball and increasing player participation and awareness, developing some of the top athletes in the world. 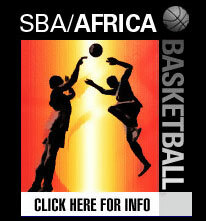 The SBA has produced countless events throughout the United States, South America, Europe, Asia, and Africa from exhibition show tours to clinics, demonstrations, expos, leagues, international competitions, and other basketball related entertainment sports properties and special events making our organization the “trailblazer” leading our industry. Working towards our mission of promoting and developing the sport of basketball globally, has provided us opportunities to showcase quality basketball, provide entertainment to its audiences, and administer expert instruction and overall development, simply legitimizing the explosive international growth and popularity of the sport of basketball. The SBA becomes an excellent vehicle to initiate marketing campaigns to develop leadership, sportsmanship, business and educational opportunities, cross cultural experiences, and athletic and business excellence. The SBA has spearheaded the movement of bringing the fusion of sports, entertainment, hip-hop music, and overall basketball development to many regions of the world; as the SBA Management Team continues to be utilized as a valuable asset for top businesses, organizations, sponsors, and leagues and teams in the world seeking overall basketball/street basketball consultation and support. The SBA's International Basketball Federation will continue to give fans all over the world the opportunity to witness first hand the extraordinary talents, skills, and athleticism of the top SBA All-Star professional street ball players and see live some of their favorite former NBA Players and Legends.